Lauren Boyer was born on 7 March 1998. 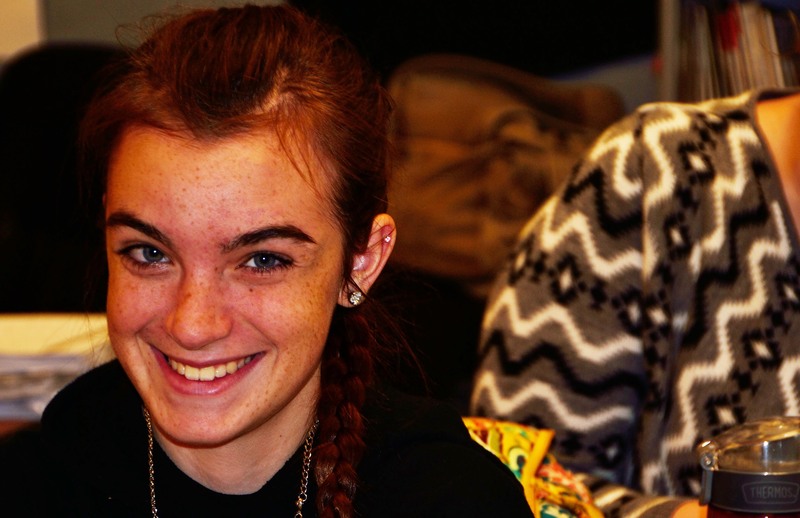 Her future plans are to go to Kutztown and major in special education and photography. Her dream is to be a writer. When she grows up, she wants to live in Pennsylvania. She currently works at Render’s as a cashier, and she is also dating Alec Miller. Her favorite color is purple. She has a dog named Riley, and a cat named Macy. If she had to love one thing about herself, it would be how much she cares. Lauren has a love for field hockey and has played for seven years. In school, she is a member of Chorus, Paranormal Club and Accept Club. Lauren chose to take Journalism because she has a great love for writing. After she dies, she would want to be remembered as the person who made everyone smile. Lauren’s greatest fears are being alone, drowning, and not being good enough. If Lauren could have any superpower, she would want to have the power of magic. Lauren’s hobbies include singing, writing, and taking pictures.